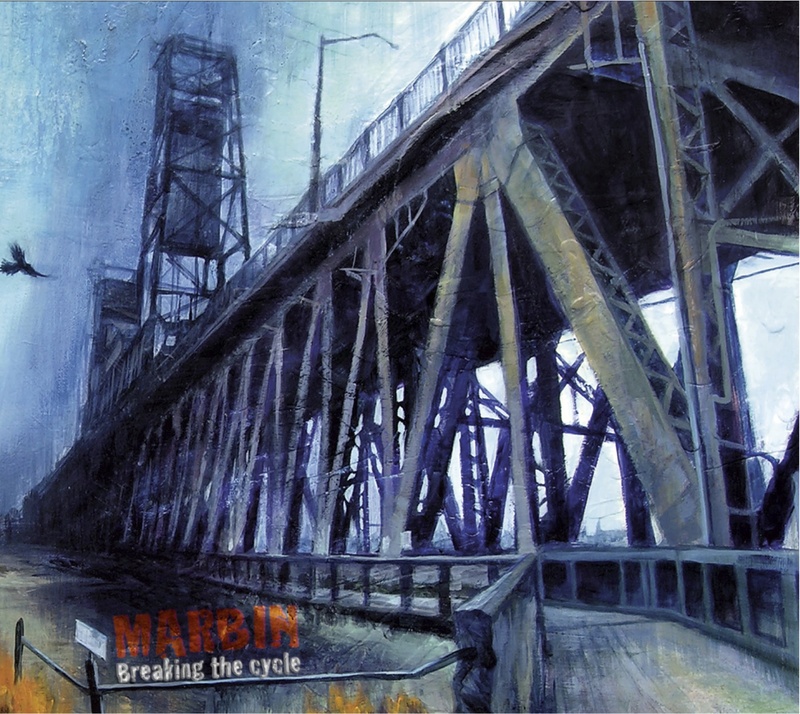 Marbin’s eponymous debut came to my attention towards the end of 2009, soon after its release. Even if the duo formed by two young, talented Israeli-born musicians who had recently moved to Chicago was an unknown quantity to me and most other reviewers, the album’s endearingly naïve artwork and intriguing musical offer were enough to warrant closer scrutiny. With a name cleverly fashioned out of the surnames of the two artists (Danny MARkovitch and Dani RaBIN), Marbin made their debut on the US music scene with an album full of intriguing melodies crafted with ony two instruments – Rabin’s guitar and Markovitch’s saxophone – characterised by an ethereal, almost brittle quality, reminiscent of the delicacy of Far Eastern art, complex yet at the same time not too taxing for the listener. The year 2010 marked a veritable quantum leap for Marbin (very active on the live front in the Chicago area), when they came under the radar of MoonJune Records’ mainman Leonardo Pavkovic, a man with a keen eye for new acts of outstanding quality. Promptly snapped up by the New York-based label, Marbin – who in the meantime had become a real band, with the addition of Pat Metheny alumni Steve Rodby (bass) and Paul Wertico (drums) – released their second album at the beginning of 2011. Breaking the Cycle is indeed an impressive effort, which sees the band build upon the foundation laid by their debut, while fine-tuning their sound and adding layers of complexity, though without making things unnecessarily convoluted. 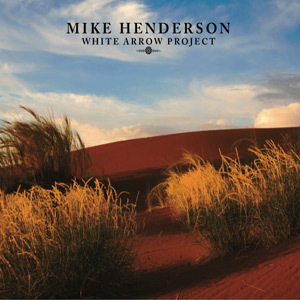 Indeed, rather interestingly, a fellow reviewer used the term ‘easy listening’ in connection to the album – a definition that may conjure images of that openly commercial subgenre known as smooth jazz. However, while Breaking the Cycle does have plenty of smoothness and melody, I would certainly never call it background music. The presence of a full-blown rhythm section has given a boost to the ambient-tinged, chamber-like atmosphere of the debut, and some of the tracks display a more than satisfying level of energy and dynamics, all the while keeping true to the deeper nature of their sound. 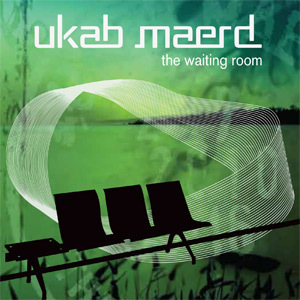 Clocking in at slightly over 40 minutes, Breaking the Cycle immediately appears as a supremely sophisticated effort, starting from the striking cover artwork whose mix of the industrial (the bridge on the front cover) and the natural (the elephant on the back cover) seems to reflect the nature of the music itself. While the majority of the tracks lean towards the slower, more atmospheric side of things, delivered in a rather short, somewhat compact format, the album is bookended by two numbers that differ quite sharply from the rest, as well as from each other. Opener “Loopy” is the closest Marbin get to a ‘conventional’ jazz-fusion sound, almost 6 minutes of sax and guitar emoting over an exhilarating jungle beat laid down by Wertico’s drums and percussion that gives a first taste of the seamless interplay between the instruments. On the other hand, the medieval-tinged, acoustic folk ballad “Winds of Grace”, masterfully interpreted by guest singer Daniel White (who also wrote the lyrics), though apparently out of place in the context of the album, is imbued with a feeling of nostalgia and loss suggested by several other tracks. Indeed, the three numbers that form the central section of the album might almost be considered as parts of a single suite, since they are characterized by a wistful, romantic (though anything but cheesy) mood. An extended sax solo is the real showstopper in “Outdoor Revolution”, while wordless vocalizing enhances the country-tinged acoustic guitar in “Western Sky”. “Burning Match” seems to reflect its title almost perfectly, its smouldering atmosphere touched with a hint of sadness, the yearning tone of the sax suggesting the end of a love affair. A strong visual element is evoked throughout the album: “Old Silhouette” creates a faintly mysterious picture, yet full of subtle warmth intensified by the slow, deep movement of the percussion; while the sweet, soothing chanting in “Mom’s Song”, combined with the gentleness of the guitar, brought to my mind images of a beach at sunset. In sharp contrast, “Bar Stomp” delivers exactly what the title promises – a bluesy, electrified romp with Rabin’s guitar taking centre stage, bolstered by an imposing percussive apparatus involving the presence of three drummers (Wertico plus guests Makaya McCraven and Jamey Haddad), and spiced up with a hint of cinematic tension. The final remarks I made in my review of Boris Savoldelli’s Biocosmopolitan may also apply to Breaking the Cycle. Oozing sheer class, with outstanding performances all round, yet plenty of warmth and accessibility (unlike a lot of hyper-technical albums), this is a release that has the potential to appeal to anyone who loves good music and does not care about sticking a label on anything they hear. Judging from the positive reactions to this album, Marbin are definitely going to be another asset for the ever-reliable MoonJune Records. Two years ago I received Slychosis’ second album, Slychedelia, to review, and was immediately impressed by the CD’s striking artwork. Visuals have always been essential in progressive rock, and the Mississippi-based outfit had pulled out all the stops by enlisting the services of Surrealist Ukrainian artist Vladimir Moldavsky. 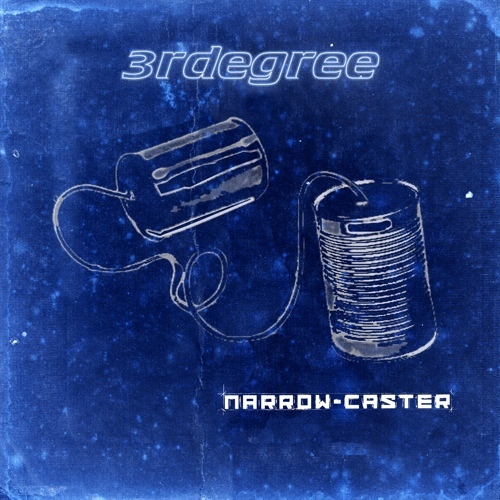 Such a strong visual appeal boded well for the album – which, while not as downright quirky as Moldavsky’s imagery, nonetheless presented an intriguing blend of skilfully used electronics and more traditional instrumentation firmly rooted in a prog framework, with a nice balance between vocal and instrumental parts. My main criticism towards Slychedelia was that it was basically a solo album by mainman Gregg Johns with some guest musicians rather than a band effort, and in some of the tracks the presence of programmed drums (that reliable staple of many a ‘solo-pilot’ project) was often hard to ignore. 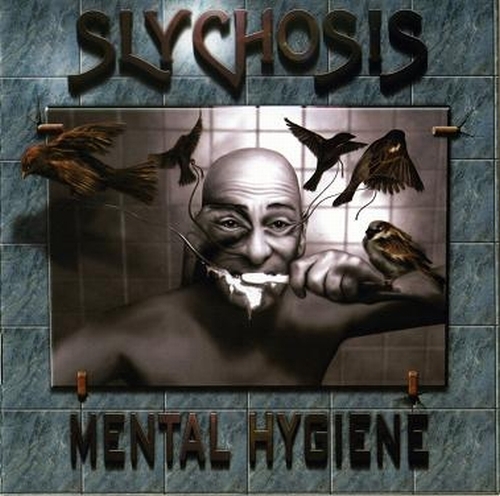 For Slychosis’ third album, Gregg Johns seemingly followed my advice by putting together a real band, with vocalist Ceci Whitehurst and drummer/vocalist Todd Sears (both of whom had appeared on Slychedelia), and brand-new bassist Clay Pell. While on Slychedelia a number of tracks had been recorded by Johns without any outside help, Mental Hygiene (a title that hints at Johns’ day job as a psychologist), is very much a group effort, and can also count on the contribution of some guest musicians. With a remarkably restrained running time of under 54 minutes (almost 10 minutes shorter than the previous effort), and tracks averaging 6 minutes, the album sounds like a definite step forward for Slychosis – in the same way as putting together a steady line-up was a step forward for Majestic, the band led by Jeff Hamel, Johns’ collaborator in the Proximal Distance project (guesting here on one track). Mental Hygiene makes use of both a female and a male vocalist, one of the hottest trends on the current prog scene Now, though Ceci Whitehurst’s low-pitched, well-modulated voice is undoubtedly pleasing, it does not seem completely suited to the material on offer here. The Slychedelia song on which she guested, the wry “Cosmic Irony”, made good use of her somewhat androgynous tone. Here, instead, she is occasionally swamped by the heavy riffing, and I often found myself wishing for a higher-pitched voice– such as Majestic’s Jessica Rasche, who also contributed her impressive pipes to Proximal Distance’s debut. Moreover, when Todd Sears steps behind the microphone, he sounds oddly similar to Whitehurst – while the definite metallic bent of some of the compositions would call for more assertive voices. Opener “Geistly Suite” is a prime example of some of the album’s shortcomings. In less than 8 minutes, three or four main sections can be identified, each of them somewhat at odds with the other. While the first part veers towards prog-metal, with hints of Queensryche’s more symphonic-oriented pieces, the second part features some funky electric piano and synth work, and is then followed by a sedate, vocal-led section vaguely reminiscent of Genesis. While all the instrumental performances are quite worthy of note, the composition as a whole sounds a bit patchy. The same problem surfaces in closing track “Midnight” (featuring guest singer Bridget Shield’s soulful vocals), where a catchy chorus, heavy riffing and distorted guitar coexist without really harmonizing. Most of the tracks are in a similar mould, with really good bits let down by some less successful ones. The lone instrumental “Odessa”, probably the album’s highlight, provides a showcase for Johns’ considerable skill as a guitarist, ranging from a beautiful, melodic solo with echoes of David Gilmour to wild, unleashed wailing. On the other hand, the melodic ballad “Fallen Tiger” borders dangerously on cheesiness, and might have been omitted without any detriment to the album. 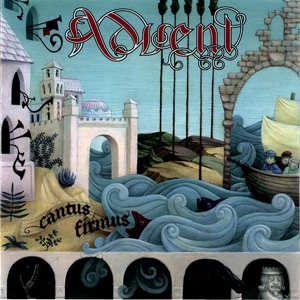 The Celtic-tinged “Things Unsaid” (whose melody reminds me in some odd way of Mike Oldfield’s “Moonlight Shadow”) features an aggressive guitar solo by Bones Theriot of Louisiana-based band Abigail’s Ghost; while the short trumpet solo in the slow, almost plodding “Angelus Novusaum” seems somewhat misplaced in the fabric of the song. Though this review may come across as a tad harsh, Mental Hygiene – while not as intriguing as Slychosis’ previous release – is nevertheless a perfectly competent album, and points to a band that is gradually coming of age, so to speak. It is to be hoped, however, that their next effort will see them concentrate more on the compositional aspect, as well as not leaning too heavily on the Porcupine Tree/symphonic prog metal influences. The members of Slychosis are obviously talented musicians with a lot to offer, but – in my opinion – they need to find a more distinctive voice of their own, or they will risk going unnoticed on the oversaturated progressive rock scene. Steely Dan are one of those bands that are loved passionately by a great many progressive rock fans, but whose legitimacy as a genuinely progressive outfit can spark some really heated debate. Now, while their music has definitely little in common with ‘traditional’ prog (as in 30-minute epics, head-spinning time signature changes, and all that jazz), its sheer complexity, sophistication and technical brilliance – not to mention Donald Fagen’s literate, sarcastic lyrics – deserves a place in any self-respecting, comprehensive account of progressive music. Though I was already vaguely familiar with the band, it was only in the past few years that I really got to know them in depth – thanks to the man who is now my husband. 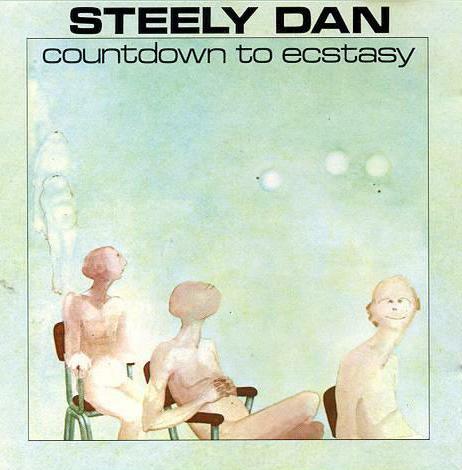 Having listened to all of their albums, I can safely state that I consider Countdown to Ecstasy (the band’s sophomore effort) their masterpiece, superior even to the much-praised Aja. Almost every track on it is a gem, a perfectly crafted example of music that is at the same time accessible and demanding, intricate and smoothly flowing. Steely Dan can do great hooks with the same ease as any seasoned pop band, and stun you with complex instrumental interplay that would do any ‘classic’ prog band proud. Their choruses are infectiously memorable, but a dark, often seedy reality is hidden beneath those apparently carefree melodies. Coundown to Ecstasy opens in upbeat mode with “Bodhisattva”, which targets the hippie fad for Eastern philosophies (the pun in ‘the sparkle of your China’ is quite priceless). Rich with horns, guitar and piano, the song has a brisk, almost danceable rhythm, but (unlike other songs on the album) no recognizable verse-chorus-verse structure. “Razor Boy” follows with its melancholy, laid-back vibe underlying one of Steely Dan’s many seedy tales of lost lives: “Will you still have a song to sing/When the razor boy comes and takes your fancy things away….” The presence of an unusual instrument like the vibraphone lends a haunting quality to the song. The initial triple-whammy is closed by my favourite number, the moody, somewhat menacing “The Boston Rag”, another tale hinting at crime and punishment with one of the best choruses ever known to man (“Bring back the Boston rag/ Tell all your buddies that it ain’t no drag”), and the closest Steely Dan get to guitar power chords. Out of the remaining songs, the hit “My Old School” and the romantic, French-flavoured “Pearl of the Quarter” lean more towards the more commercial side of things. The former is a real delight for lovers of brass rock, but as a whole leaves me somewhat cold; while I agree with those who think the latter is the weakest track on the album. “Your Gold Teeth”, the longest song at over 7 minutes, is instead an exercise in slinky elegance, deceptively lazy and effortlessly sophisticated. That leaves us with another couple of crackers – the venomous “Showbiz Kids”, punctuated by relentless background chants of ‘outrageous’, and featuring some killer slide guitar courtesy of Rick Derringer; and album closer “King of the World”, another lyrically intriguing tour-de-force enhanced by distinctive, slightly cheesy synth sounds. Even though at a superficial listen the Dan may sound like an entertaining, yet ultimately hollow pop/jazz band, if you bother to peel away the layers you will find a lot to keep even the most demanding prog fan on their toes. Everything is there – the technical proficiency, the sterling production values, the intelligent lyrics, the expressive singing, the flawless songwriting. So, forget any labels and preconceptions, and get hold of a copy of this gem. You will not regret it.